James Petchey is completing his Bachelor of Commerce in Finance and Economics. He travelled to Singapore in July 2018 to undertake the Global Management Consulting subject. 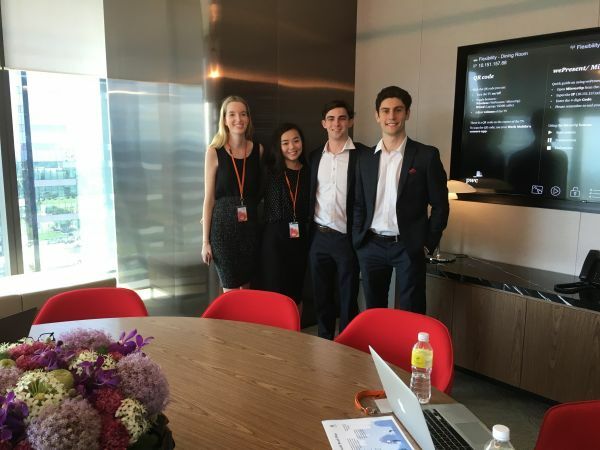 James worked with a group of students to complete a consulting project at PwC. I was originally motivated by the opportunity to apply my theoretical knowledge gained at university and develop professionally in a real-world business context. I chose Singapore as a destination city because I am considering it as a potential career location after my university degree. Working in Singapore was fantastic - there was a great mix of both work and play. The culture at PwC was very professional but relaxed as well. We were fortunate to meet many talented people at the company and had the opportunity to attend a meeting and have lunch with senior consultants. Everyone we met at PwC was interested in our project and willing to help us. Since our project focused on altering consumer behaviour, going out and experiencing the local culture and perceptions of payment systems in different contexts first-hand was incredibly beneficial. Outside of work hours, we spent our time enjoying local delicacies and exploring the city. The local food was delicious; hawker centres were cheap, and restaurants offered a huge variety of Asian food. The hotel was located close to a metro station and we were fortunate enough to have time available for sightseeing. Some highlights were Marina Bay Sands, Singapore Zoo and the Botanic Gardens. My team were tasked with forming recommendations to assist Singapore’s transition away from cash and towards taking up cashless payment systems. Having very little background knowledge on payment systems and only briefly being acquainted with each other at the pre-departure workshop, we were thrown in at the deep end. Initially, it was a huge challenge understanding exactly the task at hand, what information was available to us and how we could utilise our skills to form something of value to our client. Unlike group assignments in other subjects, we had a lot of freedom in what we wanted to focus on and there weren’t any strict guidelines. As such, we spent a lot of time at the start developing a project scope and formulating hypotheses. This allowed for a strong foundation in understanding the problem and forming recommendations. Team dynamics were critical to the success of the project. Our group process largely centred around division of research and tasks before coming together with our findings to suggest new ideas. We found this was an effective way of meeting deadlines and working together. My team were fortunate enough to have a mock presentation with our academic supervisor, at the company a few days before the final presentation. This provided us with useful insights. Despite this, we were still quite anxious in the lead-up. Thankfully, our presentation went well, and we received positive feedback. The partners were impressed, and many findings were consistent with their beliefs on how Singapore can transition towards cashless payments. The presentation was a brilliant learning opportunity and I feel more confident and equipped to pitch my ideas following the experience. Having completed GMC, I can honestly say it was one of the most rewarding experiences I’ve ever had. This was due to the complete immersion in a multinational company in an entirely unfamiliar city alongside so many great people. The experience allowed me to obtain a broader perspective on consulting – namely its highly ambiguous nature and how frameworks can be applied to make sense of complicated problems. I also now feel more comfortable in applying my knowledge from university in a workplace environment to provide value. 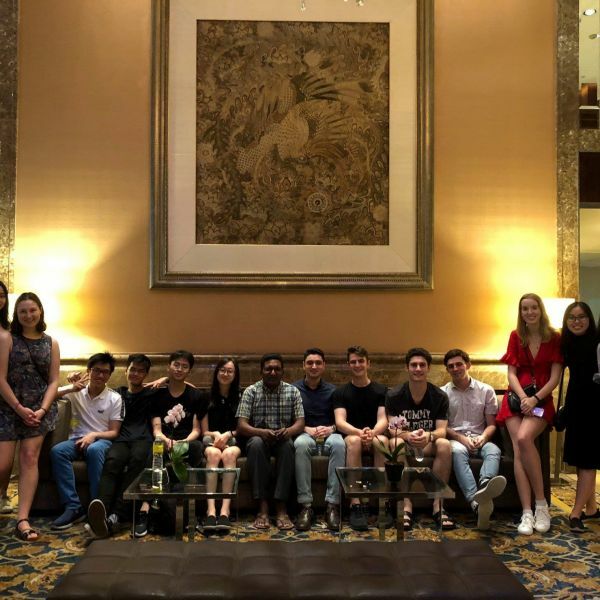 The company experience genuinely made me realise how fulfilling consulting can be and I will certainly keep Singapore in mind as a potential career destination. Are you a business interested in hosting a student team? Please contact us to discuss how we can work together here. Are you a Bachelor of Commerce student wanting to do the next Global Management Consulting? Find key dates, information sessions and funding available here.